petición: Congress: DON'T Defund Planned Parenthood! As expected, the Trump Administration and GOP-led legislature is attacking women's rights. HR 354 threatens to defund Planned Parenthood if they don't eliminate their abortion services. Despite endless attempts by anti-choice and anti-women's rights advocates to smear the organization, Planned Parenthood consistently does outstanding work. 2.5 million women and men in the United States annually visit Planned Parenthood health centers. In the last decade, 10-20% of Planned Parenthood's work has gone towards cancer screening and prevention. Access to affordable contraceptives typically makes up around 1/3 of Planned Parenthood's services. Millions of Americans have been given STD tests or information with the help of PP. Simply put, many Americans would lose vital access to healthcare if Planned Parenthood loses it's essential federal funding. This is not a "moral" choice for members of the GOP who are supporting this bill. It is political posturing. If these politicians were actually against abortions, they'd recognize that the work Planned Parenthood does is critical to reducing abortions overall. When women have access to birth control and information about sexual health, abortions decrease. It's common sense. Last year, abortions made up only 3% of the work PP did. And as representatives have repeated time and time again, no federal funding goes toward abortion services. This is yet another disgusting attempt to strip women's access to vital healthcare services. Sign now to demand that Congress defend women's rights and women's healthcare. 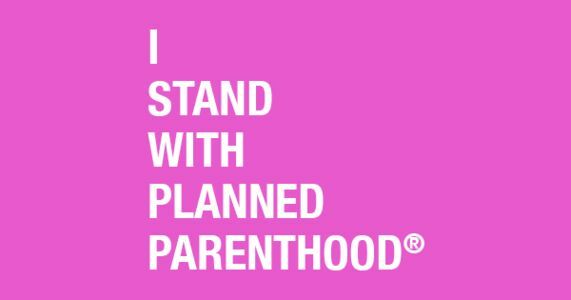 We stand in solidarity with Planned Parenthood by rejecting HR 354! Despite endless attempts by anti-choice and anti-women's rights advocates to smear the work of the organization, Planned Parenthood consistently does outstanding work. 2.5 million women and men in the United States annually visit Planned Parenthood health centers. In the last decade, 10-20% of Planned Parenthood's work has gone towards cancer screening and prevention. Access to affordable contraceptives typically makes up around 1/3 of Planned Parenthood's services. Millions of Americans have been given STD tests or information with the help of PP.